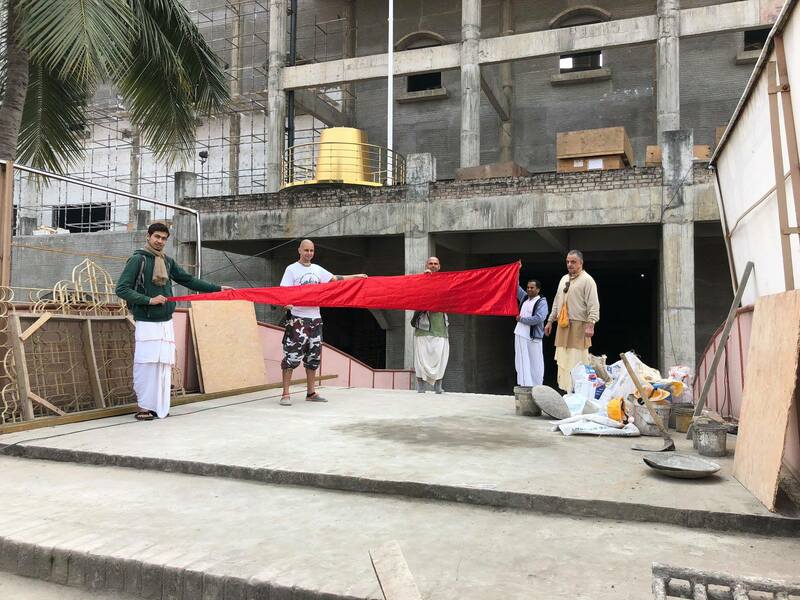 The victory flags for the TOVP domes are now being prepared for the installation ceremony to be hoisted along with the Chakras. This is called Dhwaja Rohan. Each flag on the dome has a different size based on shastric measurements from the Matsya Purana. Once completed, they will be further decorated with auspicious Vedic symbols like the Sun and Moon.